Apple. Facebook. Google. Microsoft. Yahoo. AOL. YouTube. Skype. PalTalk. The tech companies that have been associated with PRISM have all unequivocally denied involvement with the spying program. But are they speaking the whole truth? Or are they simply using choice words to evade the real question? It definitely doesn't look like the whole truth. 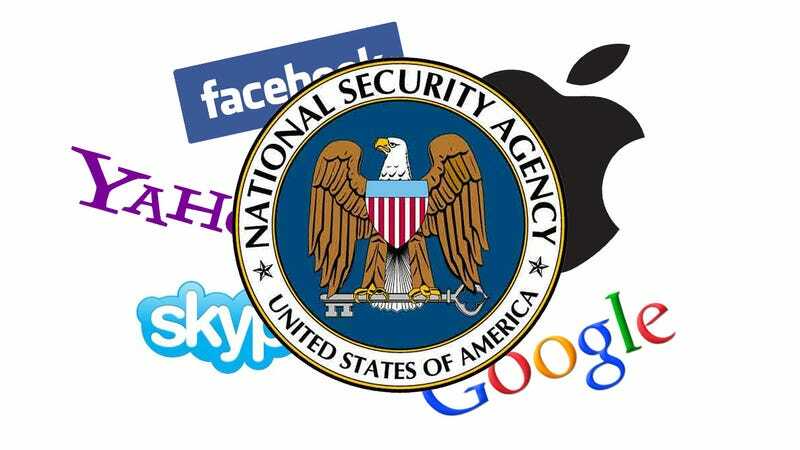 When news first broke about PRISM, the tech giants quickly denied their involvement focusing on a specific phrase from the report: "direct access". They all pretty much denied that aspect of the report and brought up that they never even heard of PRISM. The companies all said the same thing, that they never gave the government "direct access" to their servers. And it goes on and on like that for every tech company associated with PRISM. But it looks like the tech companies may be lying about their involvement, or at the very least being extremely evasive and interpreting every word in the report about PRISM as literally as possible and denying any punctuation mark they can. It's not unlike thinking you're winning an argument by screaming louder about something completely different. So, um, maybe these companies weren't giving direct access to the government but they sure were making it dead easy for the government to take their data. It's like if I said I wasn't involved with my house getting robbed but I gave the robbers the keys to the storage unit that held everything my house had. I'm not exactly letting them in my house but all the stuff is still gone. And that seems to be the focus of the tech companies.